Specialising in quality carpets and selected hard floorings. Pastel is back! No not the 1980’s way but in a fresh new, more nature-inspired way. The looks are taken from anything from retro chic to seaside cottage but the overriding theme is one of a relaxing palette in fresh tones with lots of patterned fabrics giving quite an eclectic style. Handmade – macrame and knitting are back! In carpets we are finding the rustic loops and flecked look in natural hues are becoming a must – heading away from the strong and plain greys. For hard flooring a rustic wood effect, often with a wash or distressed feel is coming back – it can work well against strongly modern furniture/kitchens to soften the overall feel. Remember - hard flooring is hugely practical too! Are you tempted to freshen up your space and give it a new look that’s on trend? Pop into our Hermitage Road store to see our fabulous range of patterns and designs available with our flooring options. Our friendly team can offer the best advice for your room and your budget ensuring that your space is practical as well as good looking! Bright colours, sparkles, camouflage… children often want a special look for their bedrooms that just doesn’t gel with the rest of the house. At Charles Wilson Carpets, we help provide funky and fabulous individual looks – with choices that can keep everyone happy! What to do for the young lady who won’t be swayed from off-white plush pile carpet whilst she’s putting on her makeup, the budding ballerina for whom nothing but pink will do or the gothically inspired teen who wants floor to ceiling black? The answer? Look to the manmade, synthetic fibres. But why? 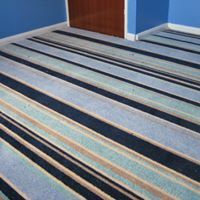 Often good guarantees but be careful of the terms – some ask for professional cleaning year each to maintain their guarantee – that would cost you more than the carpet in a few years! 1. Sheet vinyl - is not the dull boring & rather tacky product it used to be. 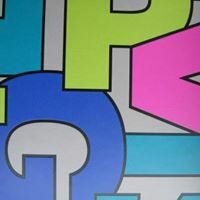 Imaginative pattern designs add some fun to a room or subtle wood effect/marbling to add a simple background to which you might add a fun rug or play mat. 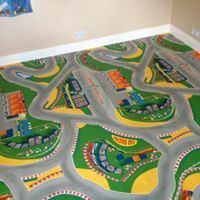 Cheaper fun patterns such as roadways or pretty pink flowers tend to be lower quality and not very long lasting… but how long will your child want to play with cars on it or still want baby pink? Gives cushioning – levels of this vary but the depth is not an indicator of quality, just comfort. Nice on little ones’ knees when they play. Fitting costs – because it’s a sheet it goes down quickly with little mess or fancy preparation. This keeps the fitting time/cost down (you may need a ply layer if you have floorboards to even the surface out, helping wear). 2. Laminate or luxury vinyl tiles are a more durable, longer lasting option. 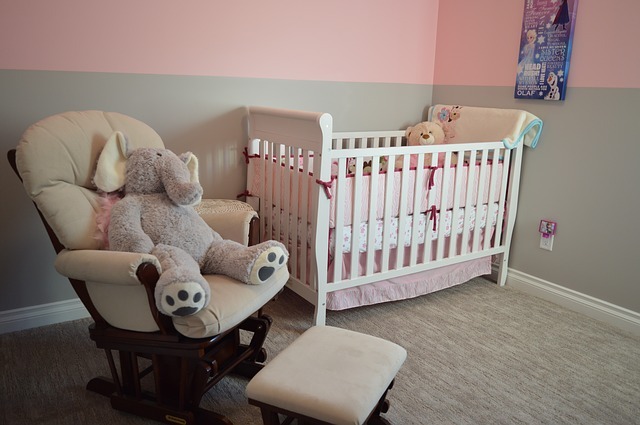 If you choose a simple wood effect or pattern in neutral tones they will last for years as your children grow. To change the look as they grow you could use rugs in up-to-date patterns or colours to alter the style. Luxury Vinyl Tiles (LVT) – you may have heard of Karndean, Moduleo or Polyflor to name but a few. Tiles & planks of thin vinyl provide a highly water resistant, scuff resistant surface as a good foil for any more elaborate ideas the children may have! LVT is now one of the most preferred alternatives to carpet because it is easy to clean, you can just uplift a plank (if stuck down version used & non-click) to remove damage, it is warmer & less noisy underfoot. Both need a very flat surface, preparation is key – so factor this in when considering these options. The downside is the cost. The materials are sometimes more expensive than carpet or vinyl but it is the time taken to lay the floor that adds to the price. That said, it will last a great deal longer and year on year provides very good value for money (a good quality will seem them through to university!). 3. 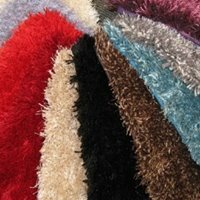 Rugs are the ultimate way to change the look of a room quickly and easily. Keep the underlying floor simple, neutral and understated and jazz things up with a design of your child’s choice. See our page on rugs for more information - and how to design your own rug!. If you would like to chat through these options in more detail or see the wonderful array of patterns and designs available, pop into our Hermitage Road store. Our friendly team can offer the best advice for your budget and your child’s taste, keeping everyone happy! Which Colour Floor Goes Best? “What colour goes best?” – we hear this question so often! It’s very difficult to judge how a colour fits in your room, with your furniture, fabrics and walls, when you’re standing in our shop! Similarly, a small swatch doesn’t always show you the final effect. 1. What is the dominant feature in the room? It’s best to decide what the main focus of the room is first before choosing a colour. Is there bold wallpaper or a particular piece of furniture that stands out? Or maybe you’d like some artwork to be the focal point? Is the floor going to make the statement for you? If you want the flooring to stand out then try a contrasting colour or tone to the walls (or main shades used in the room). For example, pale walls offer themselves open to a myriad of colours in a deep shade or wood effect. But - be careful as a dark floor can sometimes make the room look smaller. 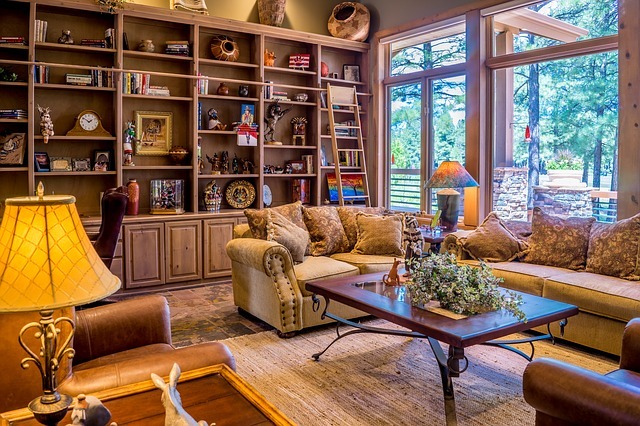 A mid-tone may be best to keep the feeling of space in a small area. For a more restful/airy look - or to provide a balance for other focal points - pick out similar tones to the items in the room. This keeps a rhythm and helps everything blend together. Plain and soft tones can be used to create neutral complement for bold items such as pictures/wallpaper. 2. What atmosphere would you like? Light, bright or cosy, rich - cold or warm? Colour plays a huge role in how you feel when you enter a room. Do you favour a warm, cosy feel? Then head for the part of the colour wheel that goes from reds through to light yellowy creams. Bold shades in this range can also give you a stimulating environment. Would you prefer a modern, crisp fresh look – then white, greys and zingy acidic greens, bold turquoise are in favour. They create a feeling of space and light but are cool in tone. Remember a colour can be made up of many things, so don’t dismiss those outside of this range. For example, you can have a blue which is not part of this colour bank but it can still be a warm shade if it leans towards violet/purple to make a more heathery shade. 3. Which colour will be practical? There is no getting away from it – you need to match your colour choice with the purpose of the room involved. For example, a pale cream carpet in a hallway with a family and dog is unlikely to end well, (unless you are very meticulous and fastidious about cleaning!). Ask the friendly team at Charles Wilson Carpets about which would be the most durable options for the room concerned. Let us know the volume of traffic, type of use and level of maintenance you are prepared to do. We’ll have great advice for you! 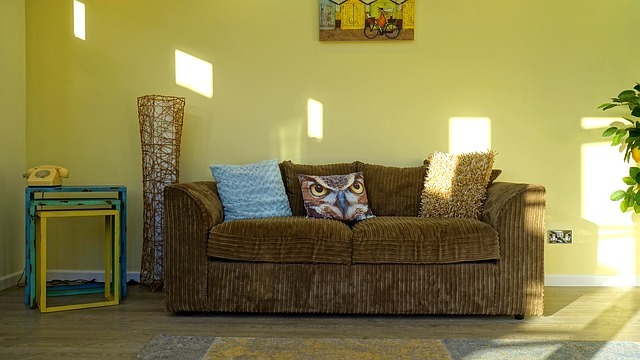 It is possible to choose a lighter colour, especially in a small area such as a hall, but you may need to consider things like mottled shades for a carpet (hides little muddy marks & bit of fluff), or a texture or bolder grain look for wood, or wood effect floors. The plainer and lighter the shade, the more wear or dirt it will show. Darker, patterned or textures surfaces hide a lot of marks and look cleaner. 4. How do you see it? It doesn’t matter what anyone else says, it’s how you see a colour or pattern that matters. There are quite large variations in how people view colour. You won’t believe the stand-up rows between couples on what colour is what! This is most common with shades of green, grey or blue. Input from others (such as friends or family) can help – but ultimately, it is your home, your money and you that will have to live with it for years. Don’t be swayed too much by fashion, you are an individual after all! A good shop should let you borrow samples and keep going back until you’ve found what you really like. There is no embarrassment in having to return several times and the sales staff want to ensure you are happy with your final choice. At Charles Wilson Carpets, we are happy to offer our professional advice and encourage you to try different samples until you know that you’ve found the right option for you. Pop in and have a chat. The Hermitage Road Fun Weekend is on 18 and 19 August 2018. We’re so excited! These two free days help promote all that the fantastic local businesses based on this road have to offer... there'll be music, food, games, classic cars and more... come along! Originally, the Hermitage Road area was part of a private garden lined with box trees! Frederic Seebohm donated the land where Hermitage Road stands. ‘New Road’ first opened in 1875, offering a crucial link between Hitchin’s town centre and its railway station. 50 years later, the new name of Hermitage Road was in place and an exciting range of building projects followed. Our prestigious road has been host to The Hermitage Cinema, The Hermitage Ballroom (with an array of stars within its line-up such as Eric Clapton, Bob Monkhouse and The Searchers) and the Remix nightclub. What’s next for Hermitage Road? 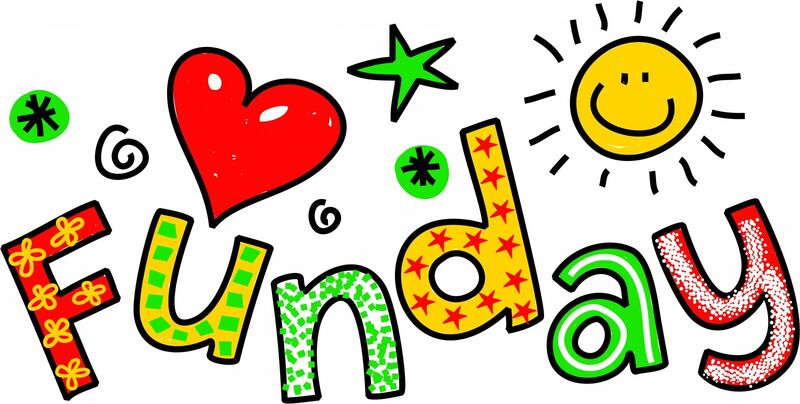 Following the success of last year's Fun Day, this year's event is a whole weekend! Lots of shops are joining in with loads of fun for all the family. We'd love to see you there! Pop in during 18 - 24 August to enter our free prize draw. You could win a £100 saving with your next flooring order! Are you free on 18 or 19 August? Come along to the Hermitage Road Fun Weekend - and don't forget to call in and say hello! Charles Wilson Carpets © 2013 - 2019. All rights reserved. Website design by Fluid Studios Ltd.